Today’s post is more than a review of a product; it’s a shout out to a small fashion and accessories boutique that’s more of a kinship between customers and the owner, Kaitlin Kendall of Florida, than it is a company. I found Katiebowhead a little over a year ago through a contest that was being hosted by my favorite tulle skirt shop, Space 46 Boutique. Space 46 asked readers to list and tag their favorite shops on Instagram for a chance to win a skirt. I was browsing through people’s responses in hopes of finding a new place to shop – and I found a brand that I would ultimately fall in love with. 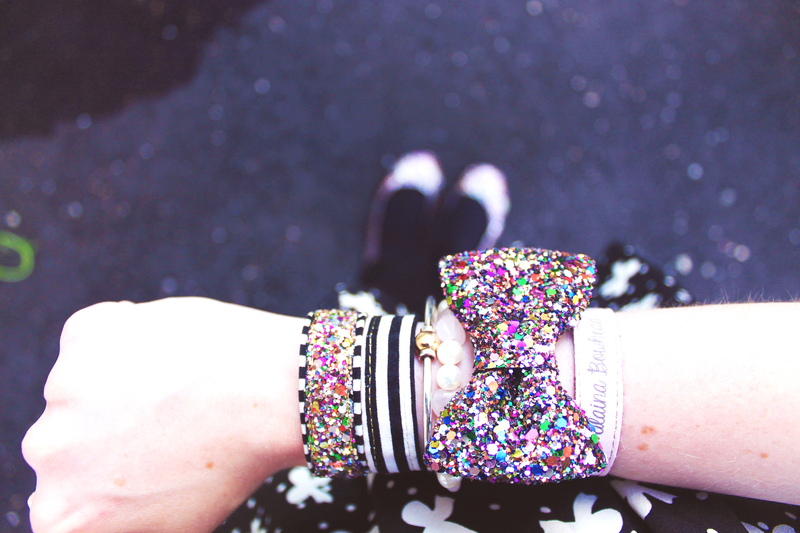 Katiebowhead began when the owner, Kaitlin, started selling the bow bracelets that she was famously known for wearing around town. A year ago when I found Katiebowhead on Instagram, it was a burgeoning shop with a couple of pages of listings. 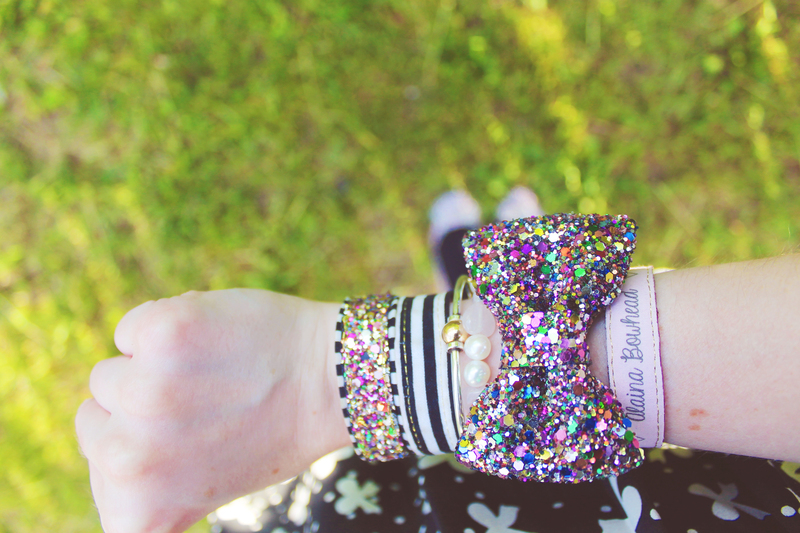 Katiebowhead had several different designs of their classic bow bracelets in patterned color fabrics. 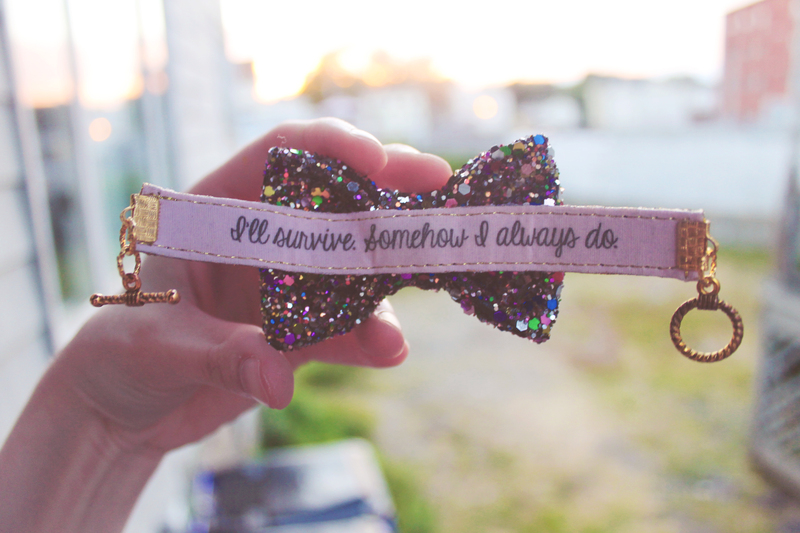 I watched Katiebowhead grow, starting when Kaitlin launched her first glitter bow bracelet, which I purchased without hesitation immediately. Since then, I have become an avid – one could argue obsessed – customer. I’ve purchased a vast array of bow bracelets, quote bands and patterned bands, as well as a lanyard, a key fob, hair bows and a Christmas ornament. I have ordered custom items as well as regular items for purchase. 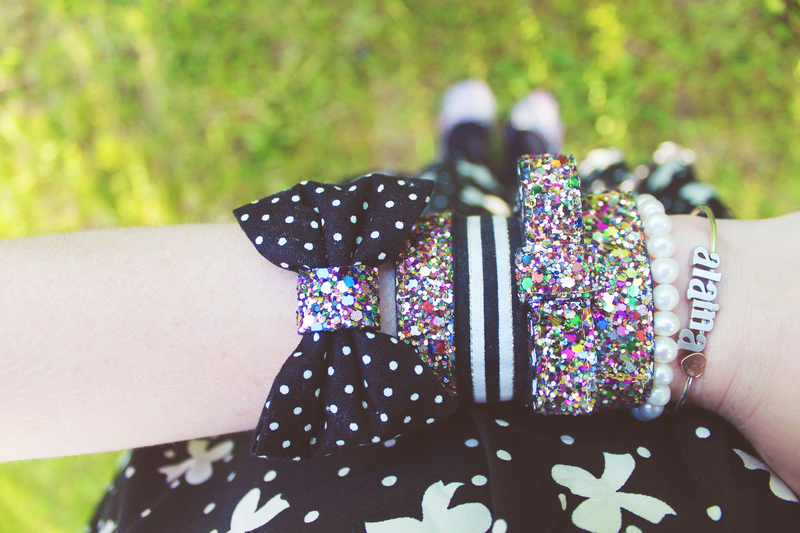 I own so many KBH bracelets that my friends know my signature bow look, as much as they think of me when they see tulle skirts, tiny top hats or glitter. When I ordered my most recent custom selection, including two bracelets that I got myself for graduating from college, I wasn’t expecting more. The adorable packaging contained more than just my order. There was also a beautiful congratulations card from Kait, and a surprise – a quote band just for me. 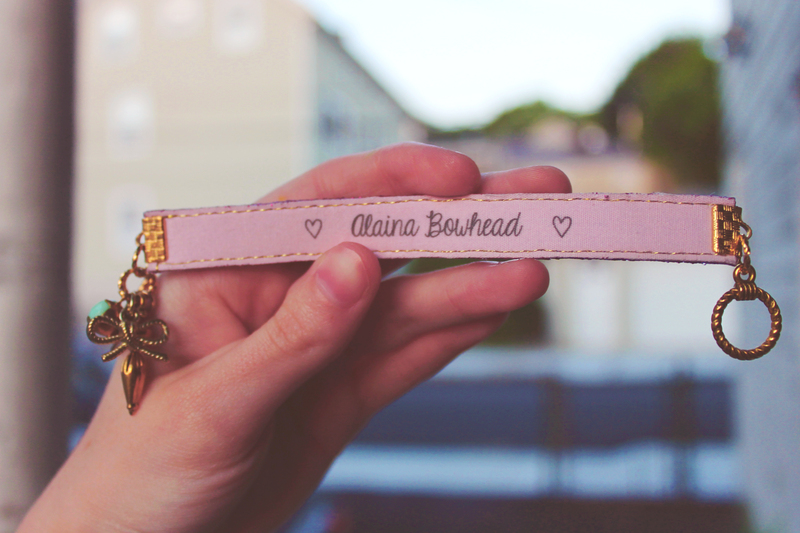 The band has purple glitter on one side, and a quote band on the other that says “Alaina Bowhead” with two hearts. There are several charms attached: a mint colored bead, an M, an umbrella, and a bow. Kait explained her choices: purple glitter because I used to have purple hair, an M for my girlfriend’s name, an umbrella because I always use them in my photo shoots, a mint bead because it’s my favorite color, and a bow because, well, it’s obvious. I’ve never been more pleased with a surprise. This went beyond KBH’s usual great customer service and excellent custom orders. This was thoughtful, kind and showed how much Kaitlin Kendall design cares; enough to notice what her customers love, and to show it. She knew I had recently graduated because of my Instagram posts (I wore KBH bracelets to graduation – of course!). Nothing can top a surprise like this, especially when it’s from a shop that has become a staple in my closet and a fashion icon of mine according to those who know me. Check out Katiebowhead on Etsy and Instagram today.